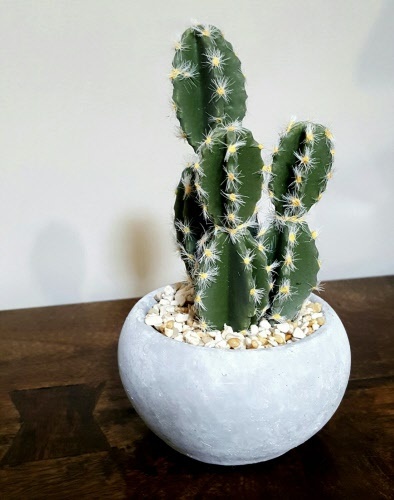 Small Faux cactus that gives a pop of green to any part of the home. Concrete effect container. Measures 14cm x 9cm approx.